We’ve come a long way from the thin crêpe served with caster sugar and lemon juice. Today, pancakes feature heavily on breakfast and main menus with the American stacks being a particular favourite. Pancake Day is traditionally the day when foods are used up before forty days of fasting leading to Easter. For many now the day has become an excuse to eat lovely fluffy or simply skinny pancakes and crêpes. 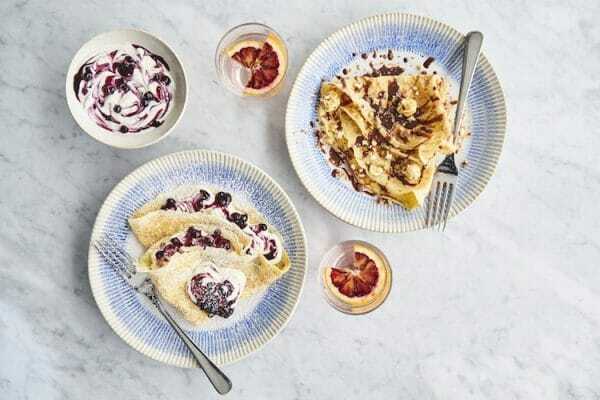 This year, pancake day falls in with the 2019 Brighton Restaurant Awards, giving you another excuse to eat, vote and win by giving your favourite a BRAVO! 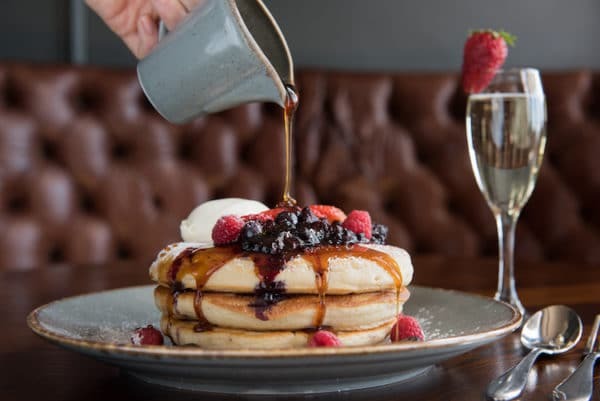 The American classic stack of pancakes drizzled in syrup and topped with creme fraîche, fruit and other treats has made its way onto the brunch and breakfast menu well and truly. If we’re lucky to get a sunny day head to Lucky Beach on the seafront for solar charged sugar highs. Boost the sugar hit with some of the best coffee in town with pancakes at Trading Post Cafe or Redroaster. 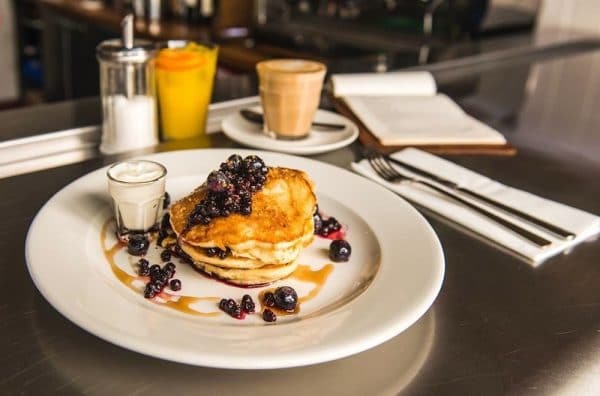 Or make brunch boozy with build your own pancakes and prosecco with the Metropole Bar’s bottomless brunch. 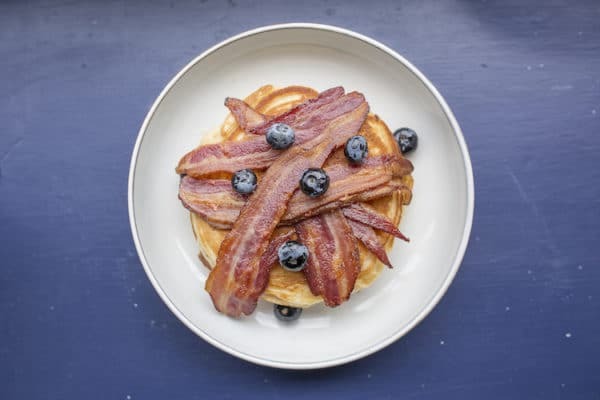 Combining maple syrup with crispy bacon and fluffy pancakes may sound like a horrendous blurring of boundaries to some but it really works! Any climb up Muesli Mountain is well worth a reward trip to Starfish and Coffee for the sweet-savoury mash-up, or get ready to loosen your belt with a trip to super-sized Smokey’s for more, more, more of the same. Victoria Wood (R.I.P) had a sketch about “creeping in, having a quick crêpe and creeping out again”, sadly opportunities to honour the comedienne’s genius are few and far between, with the once ubiquitous crêpe falling from fashion. However, Hotel du Vin serves a sweet breakfast crêpe and. 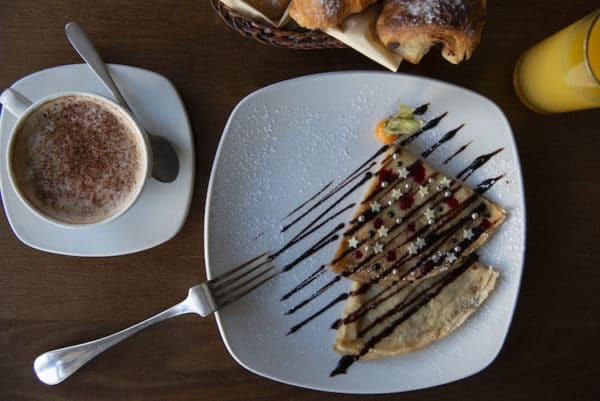 Sweet and savoury crepes are often on the specials menu at New Steine Hotel Bistro in Kemptown. And if you’re willing to travel for a pun, Chambers Bistro in Shoreham serve a delicious savoury crêpe with prawns, spinach and cheese sauce. If American pancakes do then Indian ones sure do too, if not just for parity then for the fact they’re amazing. Dosas are crispy thin pancakes made from fermented rice and lentils. A traditional Masala Dosa is filled with spiced potatoes and vegetables is available from Indian Summer, Manju’s, Chaula’s in Lewes and The Chilli Pickle. As well as a vegetable Dosa The Curry Leaf Cafe offers a Fish Moilee Dosa in their Lanes restaurant. Dosas have the benefit of nearly always being gluten-free. 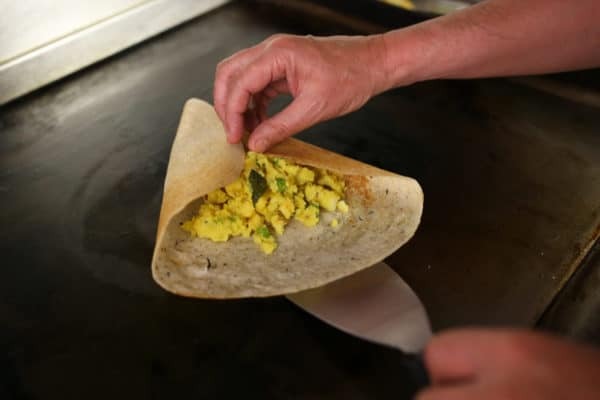 In almost all instances vegans can indulge in the Indian pancake, the dosa. But if you want that brunch stack with syrup and fruit then The New Club on the seafront, full of NY vibes and cool hair, is a great option. The ever-popular Moksha Cafe in the North Laine also serves a vegan and gluten-free banana, apple and blueberry pancake.